Second graders from P.S. 111 Adolph S. Ochs and special guest Assemblymember Linda Rosenthal, representing Westside Assembly District 67, will celebrate Arbor Day (April 27) at the Ryan/Chelsea-Clinton Community Health Center (Midtown Manhattan) with indoor and outdoor activities. Arbor Day is a special day focusing on the importance of tree planting. The tree has appeared throughout history and literature as the symbol of life. Second graders from P.S. 111 will plant flowers outside the health center in sidewalk tree planters, as well as in small pots to take home. Inside, they will color and have story time with Assemblymember Rosenthal, who will be reading The Great Kapok Tree by Lynne Cherry, which tells the story of a man who rethinks his decision to cut down a tree in the Amazon rain forest after learning how important the tree is for the survival of the rain forest and its animals. Each child will receive a copy of The Great Kapok Tree to take home. WHY: The Arbor Day celebration is sponsored by Ryan/Chelsea-Clinton Community Health Center. Ryan/Chelsea-Clinton wants children to be aware of the importance of the environment to their overall health. 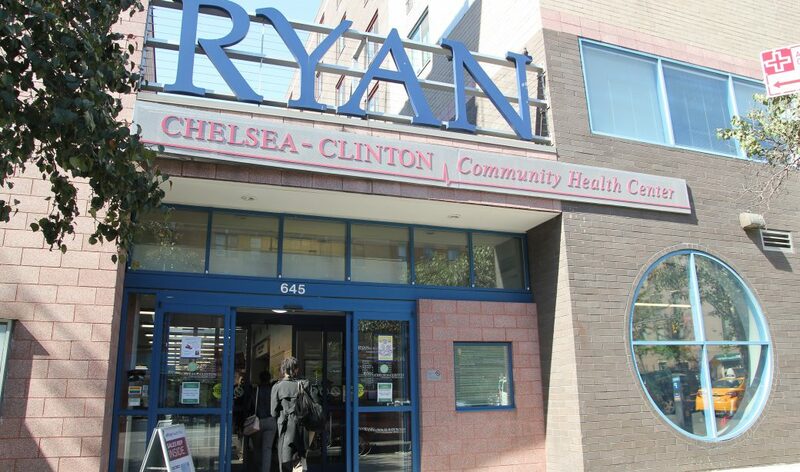 Ryan/Chelsea-Clinton provides high quality, comprehensive, affordable, culturally-sensitive, primary and preventive health care services to children, adults, and senior.